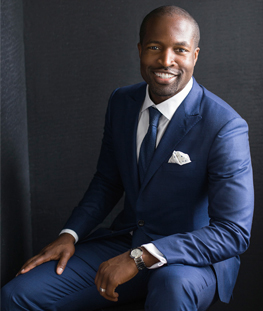 Koki Adasi and his team have been serving the real estate needs of DC, Virginia and Maryland residents for more than 10 years. Combining their many years of experience with positivity, enthusiasm, hard work and a love of real estate, the team provides unparalleled customer service and an exceptional client experience. Koki has provided real estate expertise to media outlets including CNN, NPR, HGTV, Washingtonian and the Washington Post, and is President-Elect for the Greater Capital Area Association of Realtors. "Koki and Lauren were an amazing help to my mother as she sold her house in Springfield. Koki listened to our priorities and made selling the home from out of town a breeze. We were amazed by how smoothly everything went and what personal, attentive service Koki and Lauren gave us every step of the..."
"Melissa and the whole crew at Koki & Associates are just fabulous. My husband and I couldn't have ask for a smoother first time home buying process. Melissa is so thoughtful and detail oriented and will work with you to find your perfect home. She helped us through the many ups and downs of the..."
"I could not be happier with our choice to use Koki's group when buying our home, and we were very lucky to have Melissa as our realtor. Melissa and the entire team were tireless in their search for us, vigilant about letting us know about new properties as soon as or before they got on..."
"This having been our first home purchase, Melissa was above and beyond anything we expected in a realtor. Professionally, she was terrific. She knew her stuff inside and out, and we trusted her instincts implicitly. Personally, she brings a warmth and enjoyment to the process that only a few can. This is where she provides..."
"Koki and his assistant, Lauren are just amazing! I sold my property in DC while I lived on the west coast. They pretty much did everything - renovations, fixing things, prepping for sale as well as the sale itself. They also helped a great deal with all the details of settlement...."